CBC Radio One satirical current affairs show This Is That will end its nine-year run following this season. Creators and hosts Pat Kelly and Peter Oldring made the announcement during their Sept. 27 show. New episodes will continue to air Thursdays and Saturdays at 11:30 a.m. (3:30 NT), with the final episode scheduled for Dec. 29. Kelly and Oldring will tour Canada with a live show for the 2018/19 season. Read more here. 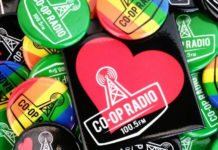 Golden West Radio has launched 104.5 MORE Country (CKOV-FM) Strathmore, AB, in partnership with Clear Sky Radio Ltd. 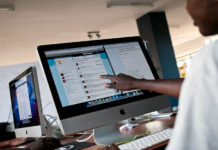 The station also operates digital news site StrathmoreNews.com. 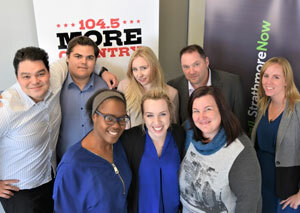 Led by station manager Dave Hanni, the on-air team includes Natalie Johnstone and Rolfe Johannson, news announcers Chris Mulder and Monique Massiah, office manager Tammy Dubray, and sales representatives Shannon McAuley and Elisha Smith. 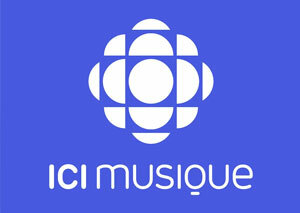 CBC/Radio-Canada is offering digital-only service ICI Musique Classique on HD Radio. 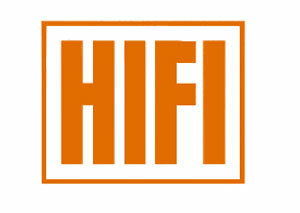 Already available on ICIMUSIQUE.ca and the mobile app, the channel is being offered to motorists with HD radios in the greater Montreal area on HD2 CBF-FM 95.1. 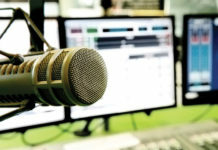 The CRTC has issued a call for comments on market capacity and the appropriateness of issuing a call for radio applications to serve Timmins, ON. The commission has received an application from Vista Radio to establish a new commercial station at 100.3 MHz FM with ERP of 16,400 watts. 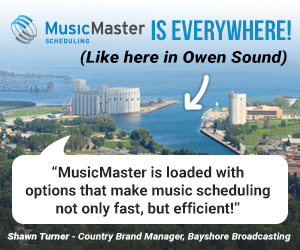 A call has also been issued for North Bay, ON where Vista has applied to operate a commercial FM at 90.5 MHz with ERP of 45,800 watts. The deadline for interventions is Oct. 29. 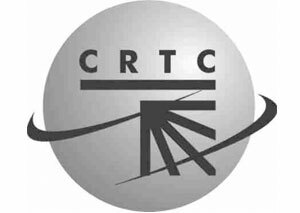 The CRTC has approved an application from CBC to install a CBC Radio One rebroadcasting transmitter at Belleville, ON. The new transmitter will operate at 104.7 MHz (channel 284B1) with an average effective radiated power (ERP) of 3,020 watts (maximum ERP of 10,000 watts with an effective height of antenna above average terrain of 117.3 metres). The new antenna will be co-located with CJBC-1-FM (ICI Radio‑ Canada Première) to optimize operating costs. 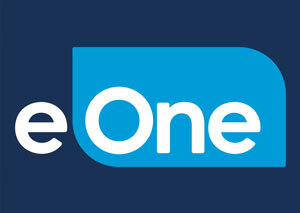 There is currently no Radio One service in Belleville. Jazz.FM (CJRT-FM) Toronto has filed a statement of defence in response to a $420,000 lawsuit from former morning show host Garvia Bailey. 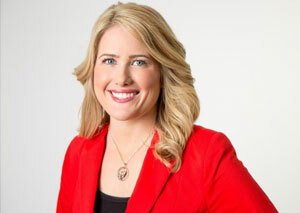 Bailey’s suit alleges wrongful and constructive dismissal, claiming she was terminated for joining a group of current and former employees known as “the Collective,” which outlined complaints against former CEO Ross Porter and other senior staffers in a March letter. Bailey had been with the station since 2014 and according to Jazz.FM court filings was making $90,000 when she resigned in April. In its statement of defence, Jazz.FM says Bailey’s morning show was under-performing in the ratings and that management met with the host a number of times to discuss improvements, including the option of pre-recording parts of the show. 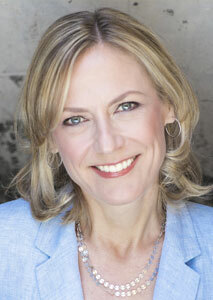 Tammy Moyer, the former News 1130 (CKWX-AM) Vancouver anchor who died from pancreatic cancer in 2016, is having her memory honoured with the renaming of Metro Vancouver’s Woman of Worth Awards (WOW). The Tammy Moyer Woman of Worth Awards will take place Oct. 27 at the Sheraton Guildford Tynehead. Moyer MC’ed the event for years which annually recognizes women in categories including Leader of the Year; Business Mom of the Year; Business and Prosperity; Health and Wellness; Spirit Success and Soul; and Sustainable Living. 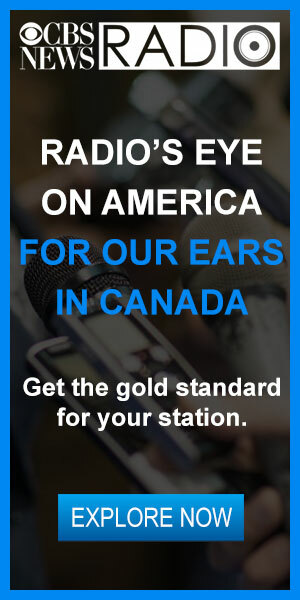 Greg Hetherington, one of the owners of Five Amigos Broadcasting which operates 99.1 CKXS-FM Wallaceburg, ON, plans to seek the Conservative nomination in the riding of Lambton-Kent-Middlesex. 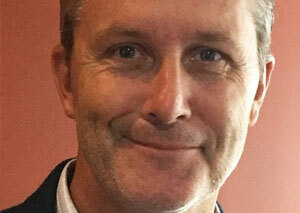 Before coming on board the independent station in 2009, Hetherington was previously a morning show host with Blackburn Radio in Chatham. 900 CKBI Prince Albert’s annual fundraiser the Two Miles For Mary Radiothon raised more than $27,000 on Sept. 28. Now in its 31st year, the event raises funds to subsidize the local Seniors Transportation Program. Google’s podcasting app – Google Podcasts – has added Chromecast support. The update allows listeners to enjoy podcasts on their TVs and connected speakers. 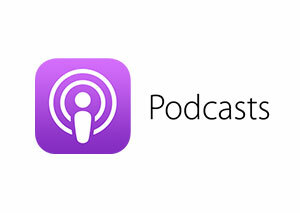 Apple has shared Podcast Authoring Best Practices. The best practice guide elaborates on compression formats, bit rates, and optimal signal levels to create the best possible quality and file size tradeoffs, while ensuring a pleasant and distortion-free listening experience. Spotify has released a dedicated podcasters portal. The platform now allows content creators to add a podcast, even if they’re not with a partner host. It also offers daily stats on how your podcast is performing. Unlike Apple Podcasts, there is no editorial approval process. Spotify says podcast listening on the platform is growing with global growth rates of 367 per cent year-on-year. 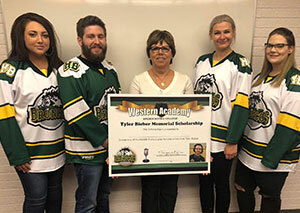 Western Academy Broadcasting College in Saskatoon has awarded its 2018 Tyler Bieber Memorial Scholarships in memory of the Bolt FM (CHBO-FM) Humboldt broadcaster, killed along with 15 others in April’s tragic Humboldt Broncos bus crash in Saskatchewan. This year’s winners are students Angela Reay, Shaun Foss, Samantha Matechuk, and Kyra McGonigle. Bieber’s mother Marilyn Hay assisted with the presentation. SiriusXM Canada started coverage of the 2018-19 NHL season on Wednesday. All NHL games throughout the season will air nationwide on SiriusXM radios, the SiriusXM app and at SiriusXM.ca for subscribers with the SiriusXM All Access package. SiriusXM offers play-by-play channels dedicated to the official radio broadcasts of every NHL team. French-language broadcasts for all Montreal Canadiens and Ottawa Senators games will be available via Influence Franco (ch. 174). In its 14th season, SiriusXM NHL Network Radio (ch. 91) will include contributors Gord Stellick, Rob Simpson, Scott Laughlin, Steve Kouleas, Boomer Gordon, Mick Kern, Peter Berce,Rob Higgins, Michelle Sturino, Nick Alberga, and Dave McCarthy, plus NHL alumni Mike Johnson and Matthew Barnaby. Expert insiders Jeff Marek, Pierre McGuire, Bob McKenzie and Mike Rupp also return weekly for another season. Schedules can be found at siriusxm.ca/sports/nhl. 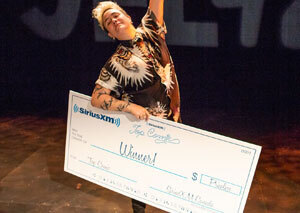 SiriusXM Canada has crowned Winnipeg’s Chanty Marostica as the winner of the ninth annual SiriusXM Top Comic competition at JFL42. Along with receiving the coveted Top Comic title, Marostica took home the grand prize of $25,000; guaranteed performances at four Just For Laughs Festivals; as well as a spot in a Just For Laughs television special to air on a Bell Media property in the 2019/2020 broadcast season. For the first time in the competition’s history, the two runners-up – Sophie Buddle of Vancouver and Nick Reynoldson of Scarborough – each received cash prizes of $2,500. They will also receive TV spots at the 2019 Just For Laughs Festival in Montreal, as well as a co-headlining show at JFL42. 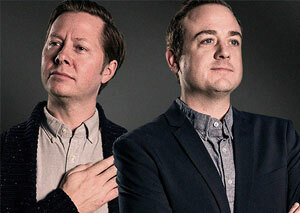 Top Comic is one of SiriusXM Canada’s ongoing initiatives to provide exposure to Canadian talent. Bruce Ward, 76, on Sept. 27. Ward was born in Saint John, NB with his first radio job at CFBC-AM while he was in Grade 12, in 1960 at Saint John High School. It was in the days when the station went off the air at midnight, so Ward was given the job of getting the station up and running at 6 a.m. Ward attended the University of New Brunswick from 1960-1964 and was heavily involved with Radio UNB. Following graduation, he returned to 93 CFBC and helped launch CFBC-FM. He went on to become the station’s news director up until 1970. 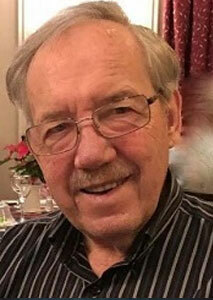 Ward then entered the ministry, serving as an Anglican priest at Christ Church Parish in Dartmouth, NS for many years. He returned to broadcasting in 2003, volunteering his time at community station 105.9 Seaside-FM (CFEP-FM) Eastern Passage. Ward hosted popular Friday afternoon program “Bruce’s Choice” and Wednesday night show “You And The Night And The Music.” He also anchored several of the station’s election night broadcasts. 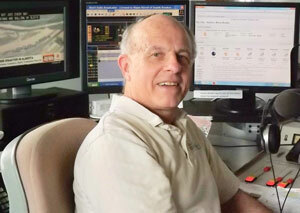 Ward’s final broadcast on the station was on June 1, joined by many other members of the Seaside-FM station family. Ward enjoyed being an integral part of the growth of the community station and loved meeting listeners along the way. Karl Scherer, 87, on Sept. 16. Scherer was born in Leoben, Austria in 1931 and emigrated to Canada in 1958, settling in Toronto. 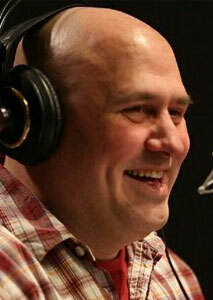 His broadcasting career started at the CBC as a sound technician. He joined IATSE Local 873 in 1964, a proud affiliation that provided him with meaningful work and professional relationships that lasted a lifetime. Often with his wife and his two sons in tow, he traveled the world recording sound on commercials and motion pictures. 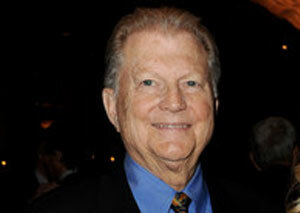 His work won him much recognition, including a Genie Award for The Changeling in 1980. CBC sitcom Workin’ Moms is among five Canadian productions nominated for a 2018 International Emmy Award or iEmmy. The International Academy of Television Arts & Sciences recognizes excellence in television produced outside of the United States, as well as U.S. primetime programming produced in languages other than English, and excellence in performances, kids programming and digital. 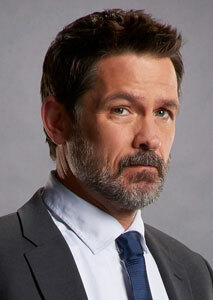 Along with Workin’ Moms, which is nominated in the Comedy category, the Academy gave a nod to CTV crime series Cardinal (Sienna Films, Entertainment One) with lead Billy Campbell nominated for Best Performance by an Actor. Two Canadian productions are nominated for Short-Form Series: How to Buy a Baby (LoCo Motion Pictures), which streams at cbc.ca, and L’âge adulte (Productions Pixcom), featured on ICI TOU.TV. Musical documentary Dreaming of a Jewish Christmas (Riddle Films), from Oscar-nominee Larry Weinstein, is nominated in the Arts Programming category. Winners will be announced at a black-tie ceremony on Nov. 19 at the Hilton New York Hotel. Netflix says it’s on track to exceed its half billion dollar Canadian content investment promise. In a blog post on the one-year anniversary of the creation of Netflix Canada, Corie Wright, director of Public Policy, said it’s a testament to the level of Canadian talent and the quality of shows and films being made here. Wright says the online streaming giant has invested in films and series produced all over the country, in hubs like Vancouver, Montreal, Toronto and St. John’s, as well as new locations for Netflix like Cochrane, AB, Brandon, MB, and Sudbury, ON. Current and soon-to-be released titles include Altered Carbon, Riverdale, Lost In Space, To All the Boys I’ve Loved Before, How It Ends, Another Life, The Umbrella Academy, the SCTV Reunion, and Always Be My Maybe. CBC has announced the broadcast premiere date for Finding The Secret Path, a one-hour documentary featuring never-before-seen footage of the last year of Gord Downie’s life. 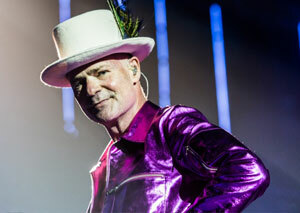 The third documentary in the public broadcaster’s trilogy on the late The Tragically Hip frontman, the film’s release marks the first anniversary of Downie’s death and 52nd anniversary of the death of Charlie Wenjack, the 12-year-old Anishanaabe boy whose story Downie fought to bring to the national stage. Finding the Secret Path will premiere on Friday, Oct. 12 at 9 p.m. on CBC (9:30 NT), the CBC TV streaming app and cbc.ca/watch. An encore broadcast of the documentary will air on CBC News Network on Oct. 14 at 8 p.m. ET. Read more here. Marilyn Denis wants you to know she’s not going anywhere. 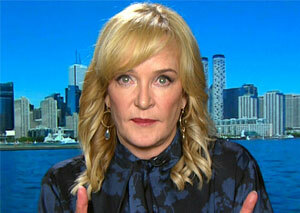 The host of The Marilyn Denis Show on CTV, and co-host of CHUM 104.5 Toronto mornings, continues to dispel rumours after finding herself at the centre of an online scam hijacking her personal brand. Denis’ name and image are being used as click bait for online ads promoting an anti-aging cream that also bill the veteran broadcaster as retired. Denis isn’t the only Bell Media personality to have been targeted. 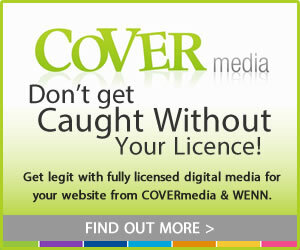 CTV Your Morning and The Social co-host Melissa Grelo and etalk’s Lainey Lui have been featured in similar scam ads. Read more here. 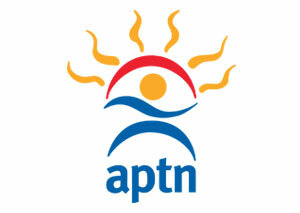 APTN Investigates starts its 10th season on Oct. 5. The first and only Indigenous investigative news program in Canada, APTN Investigates now has more than 150 episodes to date. This year’s show will feature contributors Rob Smith in Vancouver, Cullen Crozier in Yellowknife, John Murray in Edmonton and Trina Roache in Halifax. The Winnipeg-based crew includes producer Holly Moore, shooter-editor Josh Grummett, researcher/writer Martha Troian and reporter Christopher Read. Barnsley will curate a series of retrospective episodes “from the vault” that will launch Sunday, Oct. 7 at 6:30 p.m. ET. From residential school survivors to the Bruce Carson drinking water debacle, Barnsley will provide updates and insights into how the stories came together and the great work of the team. 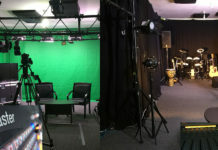 Accessible Media Inc. (AMI) has added its AMI-audio morning show Live from Studio 5 to AMI-tv’s morning lineup. Airing weekdays at 9 a.m. ET, Live from Studio 5 in Toronto is a daily look at technology, health and current affairs. Community reporters from across the country join hosts Mike Ross and Joeita Gupta with local events in the Atlantic, Central, West and Pacific regions. CraveTV has announced a new original series based on the popular Mike On Much podcast. 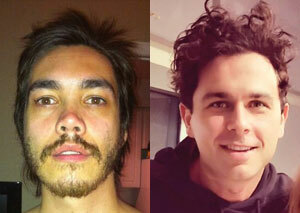 The eight-episode series is hosted by writer/director Mike Veerman, Arkells’ frontman Max Kerman, and YouTuber and pop culture aficionado Shane Cunningham. Following the podcast format, each episode opens with a roundtable-style talk where the long-time friends share stories from their professional and personal lives and deliver fresh perspectives on music, pop culture, and entertainment. A long-form interview segment anchors each episode, where musicians, comedians, authors, and actors chat with Veerman about their individual creative process. Currently in production in Toronto, the eight-episode series will begin streaming on CraveTV later this year. 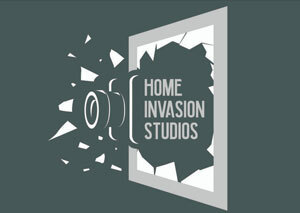 Tim Steeves and George Westerholm, both veterans of the This Hour Has 22 Minutes and Rick Mercer Report writing rooms are joining writer/director David Merry in new film and TV production venture Home Invasion Studios. 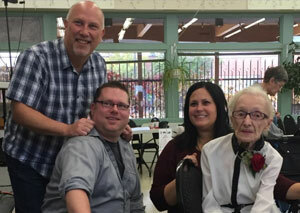 Specializing in sharp, comedic content, the Toronto-based company just finished production of their first hour-long comedy special Grandma Used to Heckle Me with comedian Jeff Leeson. Home Invasion Studios also recently optioned its first feature film, a horror believe it or not, to Wald Pictures in Hollywood with Humber College’s Professor of Comedy Larry Horowitz. Projects in scripted, unscripted, reality and game shows are also in development. 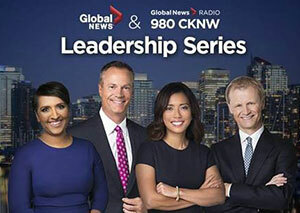 Global BC and Global News Radio 980 CKNW Vancouver launch the third-annual Leadership Series on Oct. 5. The five-week series features special reports, interviews and profiles of five local leaders, examining the concept of leadership, innovative thinking and issues that impact Vancouver’s businesses, culture, and community. This year’s leaders include former Prime Minister, The Right Honourable Kim Campbell; BC Lions General Manager Ed Hervey; Chief Constable Bob Rich, Abbotsford Police; Prem Gill, CEO of Creative BC; and Carole Taylor, former BC Minister of Finance. 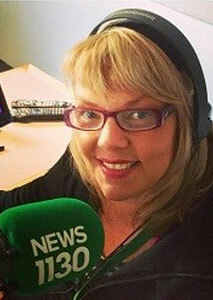 Interviews and feature discussions will air across Global BC and CKNW programming through Nov. 2. 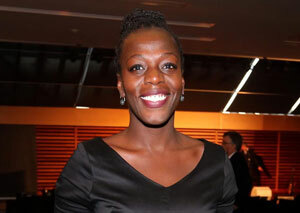 Entertainment One (eOne) has picked up the international television rights for CBC legal drama Diggstown and will handle distribution for the series outside of English-speaking Canada. Created by Floyd Kane (Across the Line), Diggstown follows corporate lawyer Marcie Diggs (Vinessa Antoine), who finds herself working at a legal aid office following a family tragedy. A CBC original drama, Diggstown is produced by Circle Blue Entertainment, Freddie Films and DHX Media. HIFI is bringing the new season of British primetime comedy talk show The Graham Norton Show to Canadian television audiences this fall. For the first time, new episodes will air in Canada days after their UK air date. The first episode will see Canadian Ryan Gosling, as well as Bradley Cooper, Lady Gaga, Jodie Whittaker and Rod Stewart chatting together with Graham. The show premieres in Canada Oct. 6 at 9 p.m. ET/10 p.m. PT with new episodes repeating Fridays at 9 p.m. ET/10 p.m. PT. 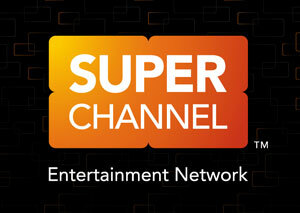 Super Channel is trying to establish its recently-launched Heart & Home channel as a destination for Christmas programming. Heart & Home Christmas kicks off on Nov. 9 with the holiday classic White Christmas and will air a total of 55 Christmas features, with 25 titles making their Canadian premieres. In total, over 560 hours of Christmas content will air between Nov. 9 and Dec. 25, including 16 Canadian-made, family-friendly holiday movies as seen on Hallmark, UPtv, Lifetime and ION in the U.S. The channel says in total, over 70 per cent of Heart & Home Christmas content is Canadian. Corus Studios is bringing three new series to MIPCOM for international sale. Set to debut at MIPCOM this year is fiery cooking competition Fire Masters, travelogue series Big Food Bucket List and demolition docu-series Salvage Kings (working title). 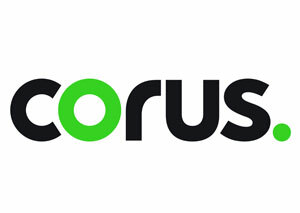 These titles join Corus Studios previously announced new programming for international sale including fashion competition series STITCHED (12×60), travel/renovation show Island of Bryan (13×60), and three new factual programs, Big Rig Warriors (10×30), History Erased(8×60) and Rust Valley Restorers (8×60). Season renewals also available at market include hit home improvement series Backyard Builds (Season 2 – 14×30), Masters of Flip (Season 4 – 6×60), $ave My Reno (Season 2 – 14×30) and Worst to First (Season 2 – 10×60). 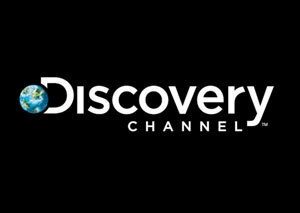 The company continues to grow its slate of distinct original series developed for its portfolio of Lifestyle channels, which features an array of genres including travel and escape, fashion, food, automotive, cultural and factual content. DHX Media and Alpha Group, one of the world’s largest developers of animation and toys, have announced co-investment in new animated preschool series Rev & Roll. DHX Television’s Family Jr., in Canada, and Alpha Group’s Jiajia channel, in China, have co-commissioned the new CGI-animated series, which is expected to begin delivering in fall 2018. 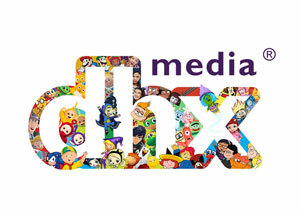 DHX Media and Alpha Group will be presenting the new series at MIP Junior and MIPCOM this month. DHX Media YouTube network WildBrain has struck a deal with toy manufacturer Just Play to manage a global YouTube channel to support the launch of new doll brand Hairdorables. The Hairdorables’ YouTube series is now live on the Hairdorables channel on the WildBrain network and YouTube Kids’ App. The English-language video series consists of animated vlogs to introduce each character, live-action toy play videos and an animated series about the characters’ lives and adventures. Hairdorables arrived at major U.S. retailers in early August with sales exceeding expectations ahead of an international launch. DHX Media has signed a new agreement providing Amazon Prime Video’s U.S. streaming service with Spanish versions of 10 kids’ shows, including Strawberry Shortcake: Sky’s the Limit, Bob the Builder, Fireman Sam, Busy World of Richard Scarry, Sonic the Hedgehog, Super Mario World, Madeline and more. The new content is expected to launch for U.S. Prime Video members on Oct. 4. 2018. 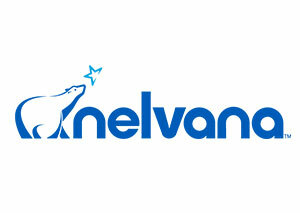 Nelvana has announced a Canadian licensing and broadcasting partnership with Mattel for Thomas & Friends across multiple merchandise categories excluding toys. Treehouse becomes the new hub for the long-running Thomas & Friends series, which will be available across the network’s platforms, including Treehouse on Demand, Treehouse Classic, and the TreehouseGO App. The deal starts with the broadcast of Thomas & Friends: The Adventure Begins movie on Treehouse on Oct. 5. Season 22 of the iconic show hits the network Oct. 13, airing weekends at 12:15 p.m. ET. Best of Thomas & Friends episodes will start rolling out on the channel Oct. 15, airing weekdays at 11:50 a.m. ET and 7:55 p.m. ET. 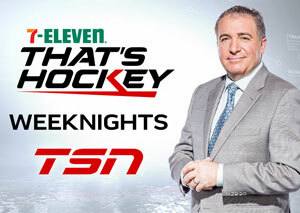 7-Eleven will serve as the title sponsor of 7-ELEVEN THAT’S HOCKEY, TSN’s longstanding daily hockey news show hosted by Gino Reda. 7-Eleven will also be integrated into show segments and features, including a daily feature to highlight great saves, bloopers, video breakdowns, stats leaderboards, and highlighting storylines for each of the seven Canadian NHL teams in only 11 seconds each. W5 will air one-hour documentary Love & Legacy: The Rob Stewart Story on Oct. 6, ahead of the the theatrical release of Sharkwater Extinction, the final work by the late Canadian filmmaker. Stewart died in a diving accident in the Florida Keys while making the film in Jan. 2017. 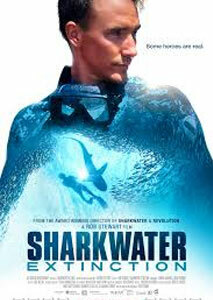 The special features behind-the-scenes footage of Sharkwater Extinction, which will be released in theatres on Oct. 19, and follows the Stewart family’s mission to complete Rob’s final exposé on the illegal shark fin industry. 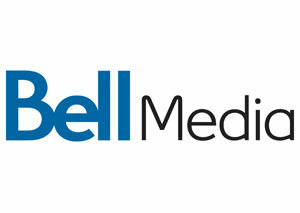 The film is a Bell Media Original Documentary, commissioned by The Movie Network (TMN) and Super Écran. The film recently premiered at TIFF will have its world television premiere in 2019 on TMN and Super Écran. 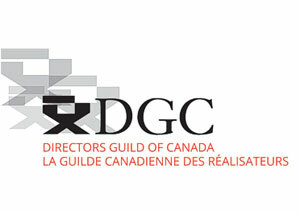 The Directors Guild of Canada (DGC) and the Canadian Media Producers Association (CMPA) have ratified a new DGC-CMPA Standard Agreement. The newly ratified accord gives directors a 2.5 per cent wage increase in 2019, followed by three per cent increases in 2020 and 2021. Crew members will see a general yearly wage increase of three per cent in each of the three years of the deal. The agreement takes effect Jan. 1, 2019 and will apply to all productions in Canada, excluding British Columbia and Quebec, commencing principal photography on or after that date. 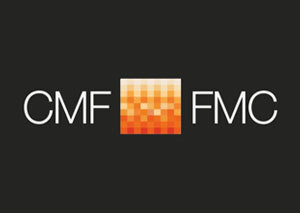 The Canada Media Fund (CMF) has reopened the Corus-CMF Page to Pitch Program, with a program budget set at $1M. 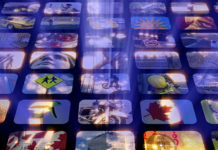 Now in its sixth year, the program is available to producers seeking funding for the development of eligible live-action and animated television projects triggered by any CRTC-licensed Canadian broadcaster. The program funds costs related to story and script development as well as expenses related to the acquisition of pre-sale financing from foreign broadcasters and distributors. Applications can be submitted from now until Nov. 20. Click here to access guidelines. Network Media Group Inc. and Network Entertainment Inc. are partnering with film and television producer Burt Sugarman to produce a feature documentary that tells the story of iconic 1970s television series The Midnight Special. During its 450-episode run, The Midnight Special showcased live performances from musical icons like James Brown, the Jackson 5, Van Morrison, Marvin Gaye, Ike & Tina Turner, Fleetwood Mac, David Bowie, Aretha Franklin, The Beach Boys, Prince, Richard Pryor and George Carlin, among others. Burt Sugarman and Mary Hart will executive produce alongside Network Entertainment’s Derik Murray, Frank Anderson, Paul Gertz and Brian Gersh. 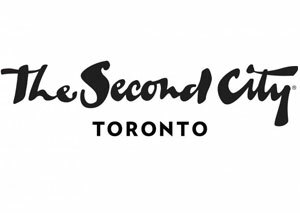 The Second City and Toronto-based Insight Productions are teaming up to develop original comedic content that will include sketch comedy, stand-up specials, scripted and unscripted series. The two have already partnered on the upcoming Netflix “SCTV Reunion” special directed by Martin Scorsese. CTV, in association with Proper Television, has announced that production has begun on new series Mary’s Kitchen Crush. The 30-episode, half-hour series will air on CTV, Gusto, and stream on demand from the new CTV Super Hub, as part of new lifestyle brand CTV Life. The show features Masterchef Canada Season 3 winner Mary Berg as she shares her twists on home-cooked classics inspired by her family and friends. The series is currently shooting in Toronto and will premiere as part of CTV’s 2019 midseason schedule. 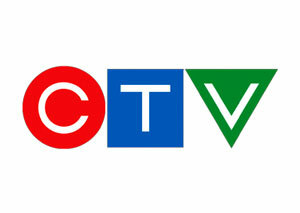 CTV Montreal says its Tuesday night provincial election coverage was the #1 choice with English-language viewers. The primetime election special attracted a rating of 6.1 (A25-54) in the Montreal market, more than five times that of its closest competitor. Hosted by Mutsumi Takahashi and Paul Karwatsky, the special was watched by a total of 339,000 unique viewers. Audiences peaked at 102,400 viewers at 9:02 p.m. ET, after the Coalition Avenir Québec party secured its first-ever majority government. Discovery’s longest-running series Canada’s Worst Driver, buckles up for Season 14 on Oct. 29. Led by returning host Andrew Younghusband, Numeris data for the 2017/18 broadcast year shows the program was the most-watched entertainment specialty program during its Monday 10 p.m. ET timeslot among total viewers and the A25-54 and A18-49 demos. hayu – the all-reality subscription video on-demand (SVOD) service from NBCUniversal International is now available in Canada, following its rollout in the UK, Ireland, Australia, Norway, Sweden, Finland and Denmark. 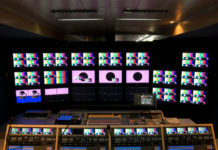 The service features titles like Keeping Up with the Kardashians, The Real Housewives and Million Dollar Listing, among 6,000 episodes of reality content. hayu also offers users the ability to download shows to view on the go without access to the internet. 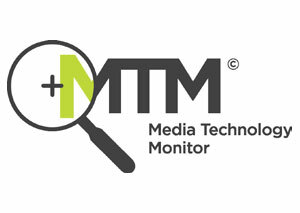 Media Technology Monitor (MTM) has looked into what Canadians are watching online, finding that action/drama is the most popular streaming genre with English-speaking Canadians, with comedy close behind. Other key insights from Genre Preferences for Online Viewing indicate men are more interested in watching sports and news content online than women. However, men and women don’t differ much in their viewing of action/drama and comedy. 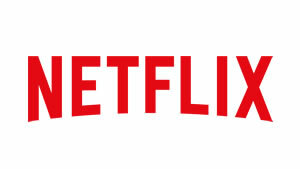 The research also found that comedy is the most popular genre on YouTube, while Netflix draws viewers in with its dramas. 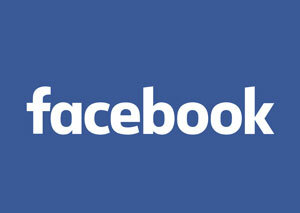 Facebook has revealed a security breach affecting almost 50 million accounts. Guy Rosen, the social network’s VP of Product Management, announced the news in a blog post last Friday indicating that the breach was discovered by the company’s engineering team on Sept. 25 after attackers exploited a vulnerability in Facebook’s code that impacted the “View As” feature which lets people see what their own profile looks like to someone else. This allowed them to steal Facebook access tokens which they could then use to take over people’s accounts. Toronto law firm Charney Lawyers PC has commenced a national privacy breach class action. 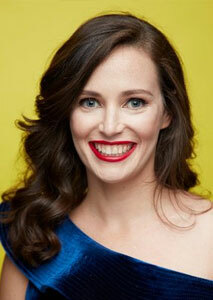 Refinery29 Canada will launch in October with former Chatelaine editor-in-chief Carley Fortune at its helm. The American digital media lifestyle brand, boasting over 1.3 million Twitter followers, will produce its Canadian edition from Toronto. Canada and France are two of the fashion and culture site’s strongest markets. Apple Music has overtaken Spotify in three key streaming music markets – the U.S., Canada, and Japan. Longtime Apple analyst Gene Munster and Will Thompson have authored report iOS Ownership Advantage: Music Case Study. It says Apple Music has 21 million subscribers in North America, one million more than Spotify, due to high iOS ownership. Estimating that 95 per cent of Apple Music subscribers use iOS, the company has converted potential customers into paying customers 2.5 times faster than Spotify. Munster claims that’s in part because iPhone owners have more disposable income than Android owners. 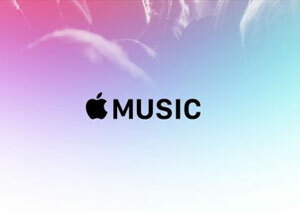 Munster also found that Apple Music still has room to grow with just six per cent paying of the 780 million iPhone users around the world paying subscribers. Over the past two years, Apple Music has grown paid subscriptions 137 per cent, while Spotify experienced 93 per cent growth and Pandora 45 per cent. 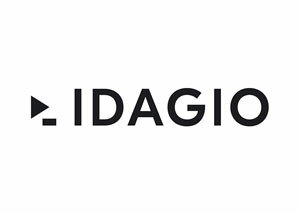 Idagio, the Berlin-based classical music streaming service, has raised more than $11.75 million U.S. for its North American expansion. The company already has subscribers in more than 130 countries. Subscriptions start at $9.99/month. Idagio has also formed a partnership with Sonos speakers to allow subscribers to stream music directly from the app to Sonos devices. The CRTC has denied the FairPlay Canada coalition’s website-blocking proposal to address copyright piracy. The commission says it does not have the jurisdiction under the Telecommunications Act. FairPlay Canada, comprised of more than 25 organizations spanning film, TV, radio, sports entertainment and music, includes Bell Media, Rogers, Corus, CBC, Cogeco, Canadian Media Producers Association (CMPA), as well as unions and other artists groups. It had requested the CRTC create a regime that would identify websites and online services engaged in blatant copyright piracy and order internet service providers to block access to those sites. 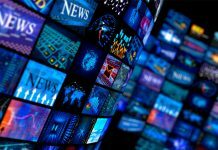 The commission said it is of the view “other avenues are more suitable to address the issue”, citing the ongoing parliamentary review of the Copyright Act, as well as the expert panel review of the Telecommunications Act and the Broadcasting Act. More than 70,000 comments were collected from Canadians against the proposal by OpenMedia, a Vancouver-based group concerned that what they saw as an over-reaching application would lead to censorship of legitimate content and erode the principles of net neutrality. 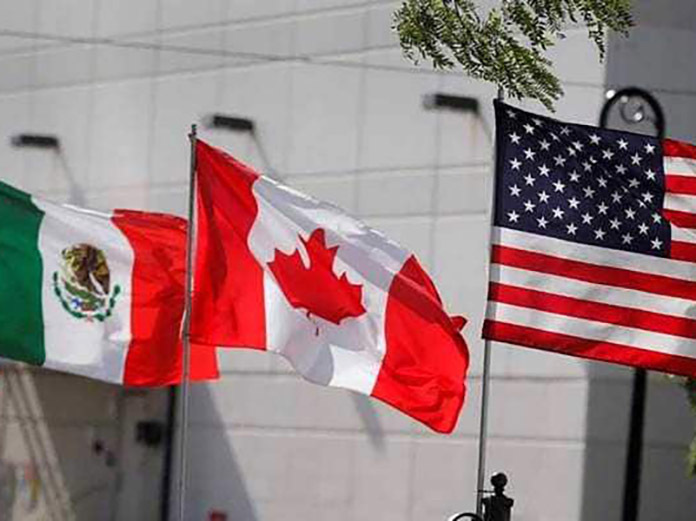 The United States-Mexico-Canada Agreement (USMCA) or “new NAFTA” includes a clause overturning the CRTC decision to allow U.S. advertising in Canada during the Super Bowl. Canada has agreed to scrap the policy, which went into effect in 2017, banning Canadian networks from the practice of “simultaneous substitution” or replacing U.S. ads with Canadian ones. Both BCE Inc., which holds Super Bowl broadcast rights in Canada, and the NFL had launched a legal challenge of the commission’s order. While so far it’s been upheld, an appeal is set to be heard before the Supreme Court of Canada in December. NAFTA 2.0 also brings Canadian copyright protections in line with those of the U.S. and the European Union, extending copyright terms from the end of the artist’s life plus 50 years to 70 years beyond the year the creator of the work dies. The extension will mean significant costs to those who use such works. 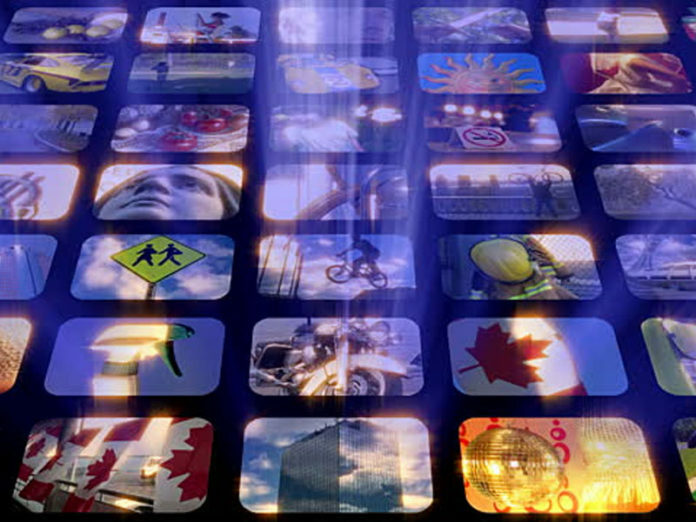 While language around Canada’s cultural exemption is preserved, protecting television, music and books, the language around digital content does not allow favouring domestic digital media over that of the U.S. or Mexico. Read more here. The CRTC has revealed the criteria that will be used to evaluate applications for funding from its $750-million Broadband Fund. The fund, to be dispersed over five years, aims to close the gap in connectivity between rural and urban areas. The commission says it will begin the competitive process to evaluate and select projects that build or upgrade infrastructure in underserved areas in 2019. Bell Media is refusing to run election ads from Toronto mayoral candidate Faith Goldy, in contravention of CRTC rules. Goldy, a controversial conservative commentator best known for her time with Rebel Media, has been criticized for being too sympathetic to the white nationalist movement. As Goldy points out in a recorded conversation with a Bell Media rep posted to her YouTube channel, the CRTC requires broadcasters to treat candidates equitably. CRTC rules state “If a broadcaster sells advertising time to one candidate or party, other candidates and parties must also be given the opportunity to buy commercial airtime from that same broadcaster.” It’s unclear at this point if the matter will trigger a CRTC tribunal. Nash John Gracie, the man accused of uttering a vulgar statement at a CTV Atlantic reporter during a live broadcast in Halifax last year, will perform community service as part of restorative justice. Reporter Heather Butts was on location at a downtown pub on Dec. 29 filing a report on the World Junior Hockey Championship when Gracie walked into the shot, allegedly made a crude gesture and uttered the offensive statement. The 25-year-old was charged with one count each of public mischief and causing a disturbance. In addition to community service, the restorative justice agreement also required Gracie to issue an apology to Butts. In her own statement, Butts said she’s satisfied Gracie has taken responsibility for his actions. 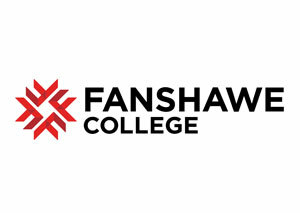 Fanshawe College Radio Broadcasting and Broadcast Journalism alumni are invited to a celebration of the 40th anniversary of campus station 106.9 CIXX-FM London. When “6X-FM” signed on in 1978, it was Canada’s first station with a ‘Campus Instructional’ licence. 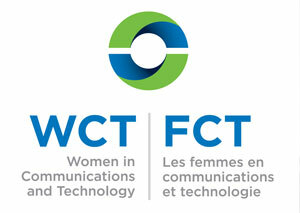 The event, featuring an open house, tours, a luncheon and guest speakers will take place Oct. 27 from 10 a.m. – 4 p.m.
Women in Communications and Technology (WCT) Manitoba will hold a relaunch panel event on Oct. 26 at the Canadian Museum for Human Rights. Guest panelists including producer Lisa Meeches; Think Shift founder David Baker; Kathy Knight, CEO, Information & Communication Technologies Association of Manitoba; Beth Bell, VP Enterprise & Commercial, IBM Global Markets Canada; and Beverlie Stuart, associate VP Business Development & Strategic Initiatives, Manitoba Institute of Trades and Technology (MITT), will explore challenges women face in the workplace and share meaningful dialogue on breaking barriers. The panel will be moderated by Cheryl McKenzie, national news producer, APTN. Ticket info here. Bryan Hall is celebrating 65 years in radio and will speak at the Fall Luncheon of the Edmonton Broadcasters Club on Wednesday, Oct. 17. CHED-AM morning man Bruce Bowie will moderate. 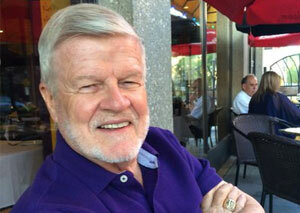 In addition to his years at CKUA, CJCA and now CHED Edmonton, “Hallsy” also spent time in Toronto in the 1960s as sports director at CHUM and voice of the Toronto Maple Leafs. 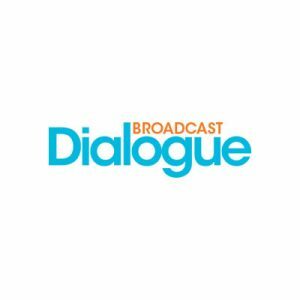 More info at edmontonbroadcasters.com. 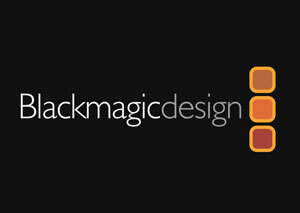 Blackmagic Design has announced that it’s joined the new Netflix Post Technology Alliance and that DaVinci Resolve, its professional editing, visual effects, motion graphics, color correction and audio post production software, was chosen for three of the alliance’s four technology categories: “Color Grading,” “Editorial” and “IMF & Media Encoding.” Blackmagic Design’s URSA Mini 4.6K and URSA Mini Pro were also chosen in the alliance’s “Camera” category. The Post Technology Alliance is a program for manufacturers of products that generate or manage any kind of sound data, image data, or metadata from production through post. The alliance is aimed at bringing together industry leaders committed to work closely with Netflix to innovate production workflows and support creatives globally. To earn the ability to use the Post Technology Alliance certified logo, products must comply with current Netflix delivery specifications, and commit to future technical innovation and timely problem resolution.